~Every year Manchester is light up in China Town to celebrate The Chinese New Year. The celebrations refer to the Chinese zodiac, a classification scheme that assigns an animal and its reputed attributes to each year in a repeating 12-year cycle. 12 years means 12 animals and 2019 marks The Year of The Pig. The Pig is the twelfth of the 12-year cycle of animals which appear in the Chinese zodiac related to the Chinese calendar. Celebrations of the pig are not just occurring solely in Manchester either. The fun starts tomorrow, Saturday 9th February at 11am. 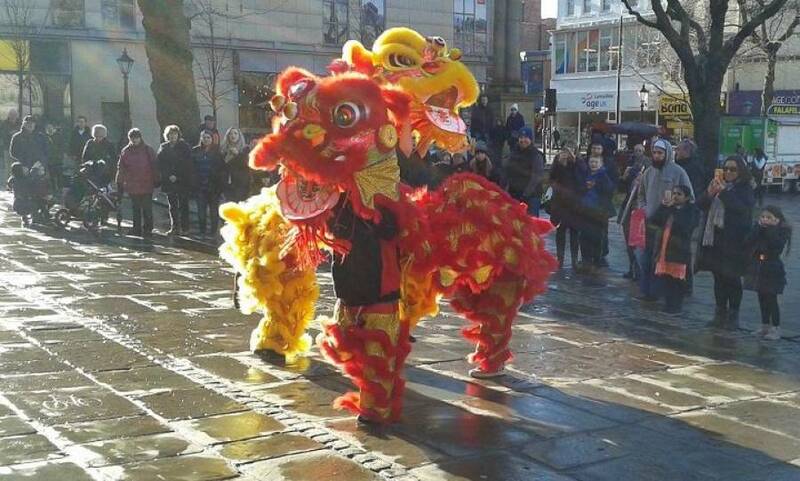 From there you will experience a lion dance on the Flag Market as well as tea tasting and other workshops from the Confucius Institute at the University of Central Lancashire.